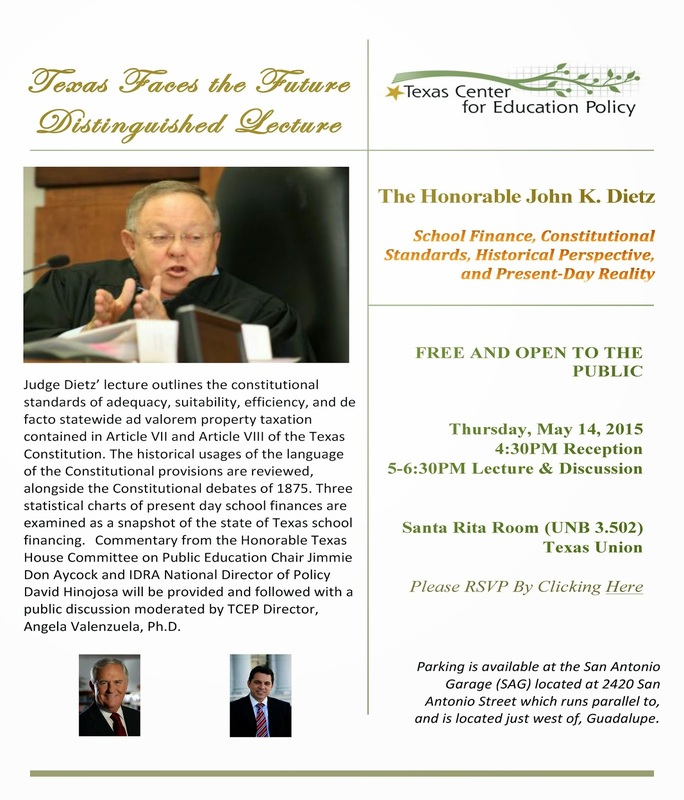 Texas Faces the Future Distinguished Lecture - featuring Judge John K. Dietz, "School Finance, Constitutional Standards, Historical Perspective, and Present-Day Reality"
Restorative justice, culturally relevant pedagogy is definitely a route out of the substance abuse, violence, difficulties with relationships, and school failure that many youth face. I love that they work in and with "community building circles." This is indeed an indigenous way of knowing and being in the world that helps create that circle of love, protection, sense of equality, and holistic way of being in the world. We have much to learn in education about the power of the circle. Updated April 20, 2015 11:57 a.m.
BY ALEJANDRA MOLINA / STAFF WRITER SANTA ANA – It was Jesus Reyes’ turn to speak. Reyes, 15, had been hanging out with the wrong crowd. He was tagging walls and ditching school. “I want to leave all my mistakes, so this coming year I could be a good leader,” Reyes said on a Saturday morning at the nonprofit Latino Health Access in Santa Ana. Reyes and about 30 others gathered in a circle to talk about substance abuse, school failure, relationships and violence. One by one, mothers spoke anxiously about their sons’ drug problem, while the teenage boys talked about difficulties with school. In Santa Ana – where nearly 80 percent of residents are Latino and where young men are incarcerated at higher levels than other Orange County cities – community organizers are implementing frameworks that focus on the root causes instead of punishment. After learning about Joven Noble, his outlook is different. Reyes now believes that real men respect women, and they’re responsible. They let out their emotions. “They actually get emotional,” he said. Reyes is an eighth-grade student at Community Day – an alternative school that serves fewer than 100 students. He enjoys math and reading. He kills time playing handball outside his house and says he’s working hard to move up to the ninth grade. Rios, from Santa Ana, works with the Santa Ana Boys and Men of Color, the California Endowment-funded group that has started the Joven Noble curriculum at Lorin Griset Academy, Community Day, Spurgeon Intermediate and Valley High. Rios rotates his time between Lorin Griset Academy and Spurgeon Elementary and facilitates the 10-session Joven Noble curriculum: a character development program for boys and men ages 10 to 24. Teachers and counselors at pilot schools send a list to coordinators, or circle keepers, of 15 students who have displayed behavioral problems or who would benefit from the curriculum. Enrollment would be an alternative to suspension, Rios said. At the core of Joven Noble is redefining what it means to be a man. “With this curriculum, we challenge the way these young men and women look for respect, the way they look for love at home,” Rios said. “What’s important to realize is that it’s not a quick fix,” said Rios, acknowledging that the boys grow up in environments of gangs and violence. State Department of Justice reports show that in Orange County, more Latino male juveniles come in contact with county law enforcement than any other ethnic groups. Latino juveniles were largely arrested on misdemeanor offenses for assault and battery, marijuana related offenses, vandalism and petty theft. For three years, the Orange County Probation Department received grant funding from the Board of State and Community Corrections to address the high numbers of young men of color who come into contact with the juvenile justice system. Through that funding, the W. Haywood Burns Institute – a San Francisco-based nonprofit in the juvenile justice field – was hired to develop a system to monitor disparities. It has also trained the juvenile division of the Probation Department on the basics of racial and ethnic inequalities. “Demographics are not a factor in determining detention,” he said. Restorative justice coordinators in Santa Ana are striving to prevent that contact between the youth and law enforcement. The program thus far has been funded by the California Endowment, but that funding expires in September. Costs for a full-time employee to facilitate the curriculum and for other restorative practices are estimated at $55,000 to $75,000 per school site. Forty students have graduated from the curriculum. Abraham Medina, with the Santa Ana Boys and Men of Color, said funding may be granted a second year through September 2016. The goal, though, is to fund restorative justice programming through state funding that the Santa Ana Unified board in 2014 approved under the Local Control Accountability Plan. That money, Medina said, can go a long way. He sees the district having higher graduation rates and better social and emotional development of students. In mid-February, restorative justice coordinators began a second round of the curriculum. By bringing in culturally informed curriculum, Medina said it’s not just the youth who will experience healthier outcomes, but the overall community. Reyes, who took the curriculum, is an example a teen striving for a healthier lifestyle. That Saturday, Reyes took part in a talking circle where both adults and youths were given the opportunity to hear each other out. It was a retreat for restorative justice coordinators in Santa Ana to “practice what they preach” with the community’s parents and youth. With the sage and stake in hand, they expressed what they’re grateful for, talked about concerns, or spoke of goals they wanted to achieve. During the circle, Reyes talked about starting anew. He recalled that at one point he ditched school for three weeks. Now, Reyes effortlessly recites what it means to be a man of his palabra: taking responsibility for actions, being a positive example to others, never telling a lie and always asking for help. “I got in because I wanted to change,” he said. I have often thought that a hidden side of so-called "individualism" in U.S. society tracks back to a deep, white history of slave ownership and other colonial forms of violence against native people of the Americas. Since, by definition, individualism does not require an engagement with the past, it handily exonerates it through its structured silences surrounding it. Hopefully, Affleck will take this information and both question his own unearned privileges and consider what his responsibility is to challenging racism and other ongoing forms of violence and oppression that continue to be inflected by questions of race, class, gender, and sexual orientation. Ben Affleck in March 2015. 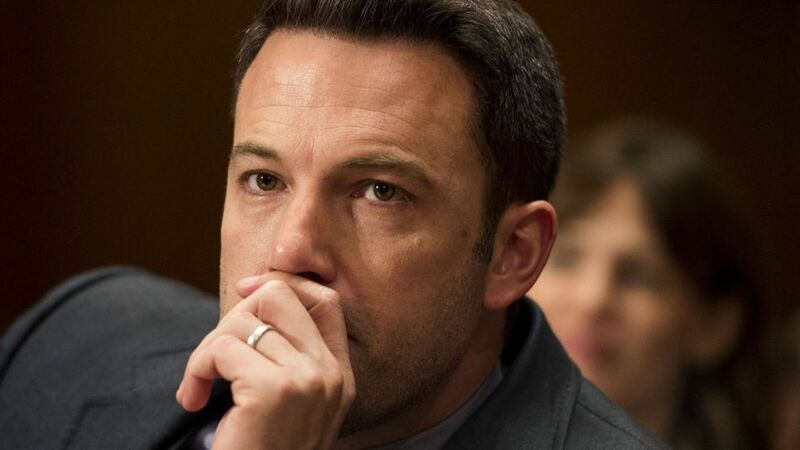 Ben Affleck has expressed regret on Facebook for asking producers of the PBS show Finding Your Roots to omit that he had a slave-owning ancestor during an episode about his family history that aired last fall. The post Tuesday night comes as PBS conducts an internal review into the incident, which became public knowledge after WikiLeaks published hacked Sony emails online. "I didn't want any television show about my family to include a guy who owned slaves. I was embarrassed," the actor wrote. "The very thought left a bad taste in my mouth." may have violated the network's editorial standards. In his post, Affleck wrote about his influence on the episode's content, and the show's host, Henry Louis Gates Jr., which he described as lobbying. "I lobbied him the same way I lobby directors about what takes of mine I think they should use. This is the collaborative creative process." The director commented further on his post to clarify his exchanges with Gates, a Harvard professor also known as Skip, in an attempt to steer the conversation away from censorship. "When I told Skip I was uneasy about the slave owner, he told me he had not included it in his preliminary cut because there wasn't much detail - a name and no details, so he wasn't going with it to begin with," Affleck wrote. In an email exchange about the incident, however, Gates used the term censorship to describe Affleck's request. "We’ve never had anyone ever try to censor or edit what we found. What do we do?" Gates asked Sony executive Michael Lynton, according to the hacked email conversation. "To do this would be a violation of PBS rules, actually, even for Batman,” Gates wrote in a later email. Affleck also expressed remorse for trying to hide his family's history with slavery in his Facebook post. I regret my initial thoughts that the issue of slavery not be included in the story. We deserve neither credit nor blame for our ancestors and the degree of interest in this story suggests that we are, as a nation, still grappling with the terrible legacy of slavery. It is an examination well worth continuing. I am glad that my story, however indirectly, will contribute to that discussion. Gates said he chose to focus on Affleck's other ancestors who were more interesting—including a Revolutionary War ancestor and Affleck's mother who marched for Civil Rights—rather than the slave owner, according to an April 17 statement. Gates used his own "independent editorial judgment to choose the most compelling narrative," PBS said in a statement. The network's review began Saturday, spokeswoman Anne Bentley said in a statement Tuesday. "We have been moving forward deliberately yet swiftly to conduct this review," she said. Karen G.J. Lewis is President of the Chicago Teachers Union. As part of its school improvement campaign, the 30,000 member CTU has strongly supported fundamental reforms in testing, and in 2014 backed a test boycott by teachers, parents and students. Mrs. Lewis, a 22-year high school teacher in the Chicago Public Schools, has been a national inspiration in leading the union's successful efforts to build powerful grassroots alliances on behalf of equity and quality in teaching and learning. She is a Vice President of the American Federation of Teachers and the Executive Vice President of the Illinois Federation of Teachers. Leon Botstein is President of Bard College. Bard stands at the forefront of the test-optional college admissions movement, whereby students are not required to submit SAT or ACT scores. A longtime advocate for education reform and improved access for the under-served at both the K-12 and college levels, Dr. Botstein has spoken and written eloquently on how the testing mania undermines educational quality. He has led Bard in revitalizing the high school experience through its high school early colleges and in becoming an international leader in liberal arts education. Dr. Botstein is also the Leon Levy Professor in the Arts and Humanities at Bard, a noted author on a wide range of subjects, and an accomplished musician and conductor. If you cannot attend, please make a donation in their honor. to reach sentencing agreements with the district attorney. district attorney. That didn't happen. making last-minutes cases for lenient sentencing for their clients. educators the public placed their trust in. This came out yesterday. The most recent, well-investigated review of peer-reviewed research evidence on school vouchers appears in a TCEP policy memo co-authored by University of Texas Professors Dr. Huriya Jabbar, Dr. Jennifer Holme & doctoral students—Melinda Lemke, A.V. LeClair, Joanna Sanchez and Edgar M. Torres, Education Policy and Planning, University of Texas at Austin. As scholars, our value added contribution is bringing the best of what we know in policy debates. This policy memo is worth a peek as it is very germane to these very wrong-headed proposals that some of our state leaders are advocating for. Last week, just after a key Texas House lawmaker unveiled the details of a plan designed to ease funding inequities among the state’s public schools, a Texas Senate education panel quietly approved the new version of a divisive bill that would allocate taxpayer money in an effort to help public school students switch to private or religious schools. At a lengthy public hearing late last month, Senate Education Committee Chairman Larry Taylor, R-Friendswood, indicated his Senate Bill 4 may eventually contain a modified version of one of two other private school voucher-type bills — Senate Bill 276, a more traditional voucher bill that would give state money directly to students in the form of grants to help pay tuition, or Senate Bill 642, designed to give tax credits to Texas businesses that donate to a non-profit scholarship fund to help them. The latest version of Taylor’s bill, made public for the first time Monday, shows it now contains a modified version of the latter bill — filed by state Sen. Paul Bettencourt — which opponents describe as a “back door voucher” program. “This is a great concept, tax credit scholarships, that has successfully worked in 14 other states,” Bettencourt said in a statement last Tuesday, the day the Senate Education Committee voted 8-3 to send Taylor’s bill to the full Senate. (Three of the four Democrats who serve on the panel opposed it). Under the program, businesses would be allowed to donate up to 50 percent of their yearly franchise tax liability to one of 25 pre-approved “educational assistance organizations,” according to Bettencourt’s statement. Those non-profits would then be allowed to provide public $500 scholarships and private school scholarships worth up to 75 percent of the average amount the state currently pays per public school student — or about $5,927. The bill includes several provisions critics have demanded, including one to ensure students who receive scholarships are needy and others requiring that private schools receiving public money be accredited and administer annual “nationally norm-referenced” exams. 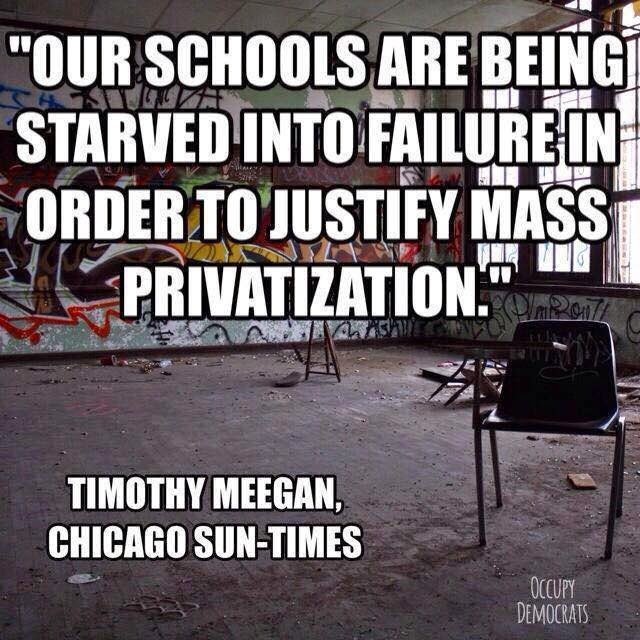 “What do you get when you marry taxpayer subsidies for private schools to taxpayer-funded corporate tax breaks? A voucher in disguise called the ‘scholarship tax credit,’” wrote David Anthony, a former Houston-area superintendent who now heads educational advocacy group Raise Your Hand Texas. Texas’ new lieutenant governor, Dan Patrick, who now presides over the Senate, pushed similar legislation as a Republican state senator and has made it one of his top education issues during his first term. He has described the goal of the legislation as helping poor kids to escape failing, inner-city schools. The bill faces an uncertain fate in the Texas House, though, which voted overwhelmingly in 2013 to ban state money from being spent on voucher-type programs. More recently, the lower chamber’s lead public education policymaker, Rep. Jimmie Don Aycock, R-Killeen, has indicated he still is not enthusiastic about the idea. Just came across this devastating report on HISD that came out in February, 2015. The standardized testing of kindergartners, if true, is over the top. I understand that there is some movement toward authentic assessment in the district, but clearly much more is needed there and elsewhere throughout the state—including eliminating high-stakes testing—if the district is to take a turn in this regard. While this involves work at the local level, it's important to be a voice the state level, as well. Seliger's SB 149 is a start. Educate yourself on the bill and call your state senator or representative to let them know how you feel about this, and high-stakes testing, generally. You can find lots of resources on testing at FairTest.org, TAMSA's Website and this blog, too. Be mindful of that all of this standardized testing is a protracted agenda to shame and blame schools in order to corporatize, marketize, and privatize public education. And to do so in this historical moment is inescapably about race, racism, and class privilege, too. In a nod to growing parent opposition to over-testing, Grier admitted today's "testing society" generates unnecessary stress among students, but he failed to point out that HISD's school board has been the principal architect of that culture.While HISD can and must increase college admission and graduation rates, the obsession with standardized testing does not prepare students for college, career or active citizenship. The board's use of student test scores to pay, rank and fire teachers simply exacerbates the problem. Bookmark Gray Matters. It's all about inquiry, real-world application and meaningful assessment. Powerful and important piece on why deportation is so wrong headed. While DACA and DAPA can't help all families, it is a start for some individuals who were brought to the U.S. as children without proper documentation. They are not criminals. They are not people looking for a handout from the government. They are people who want to work and go to school. They often already work at multiple jobs, care for children and pay taxes. But they do this with a constant threat hanging over their heads that forces them to live unfairly in fear. This week, U.S. District Judge Andrew Hannen denied the Obama administration's request that would have allowed applications for hardworking immigrant parents and young adults to stay in the U.S. This decision represents another frustrating delay on actions that could impact the lives of at least 3.7 million people currently living in the U.S. The two immigration programs that a coalition of 26 states and and the White House are fighting over are DACA (Deferred Action for Childhood Arrivals) and DAPA (Deferred Action for Parental Accountability). They were created and then expanded by President Obama to help those brought to the U.S. as children without criminal records, as well as undocumented parents of U.S. citizens, stay and work in the U.S.
Three million is a big number, but this issue is really about your friends, colleagues and employees -- those you most likely consider to be the "good guys." As professionals connected to immigration -- both as an immigration lawyer (Sam) and an early childhood researcher with immigrant families (Jennifer) -- we get calls on a pretty regular basis about friends of friends who are here illegally. Caller: Hey you're an immigration lawyer right? Caller: Listen, I know this guy. He is a really GOOD guy. Super hard worker. He has a family, owns a house and has been here for years. Anyway, he was telling me that he doesn't have the right paperwork to be here. I want to sponsor him for a green card or citizenship or whatever. What do we need to do? Sam: There is nothing that you can do. Caller: No, I'll pay for the paperwork and stuff. Just let me know what I need to do. Sam: There is literally nothing that you can do. People are incredulous. They think we are unwilling to help out or just being difficult. Often these callers are not particularly pro-immigrant but they can't believe there is nothing that can be done to help the person that they know. When speaking of immigration, politicians and policy makers often say that those that are here illegally need to go to the back of the line. Those who say this are oversimplifying the situation. There is no single line for immigration. Once someone has come to the U.S. without documentation or overstays their visa status, with very few exceptions, they lose the ability to get in a line for up to 10 years. This issue is further exacerbated by the fact that the wait for someone to come to the U.S. from Mexico when sponsored by a relative can take around 20 years or more. And that is if they have a relative already living in the U.S.
As an attorney, Sam does not usually handle family cases for individuals who come to the U.S. without papers. He represents companies that bring in highly skilled workers from around the world: the best scientists, doctors, athletes and business leaders. Unlike the cases in DAPA and DACA, his clients' cases are straight forward and face little objection because there is a relatively clear path through the process. Still we usually end up talking to the friend and Sam tries to see if there is anything that can be done. But there is usually nothing to be done, hardly ever a clear path to documentation. Generally, under U.S. immigration law you have to have some sort of tie to the U.S. in order to be able to immigrate. The primary ties that are recognized in the law are either an immediate relative who is a U.S. citizen or a lawful permanent resident or you have to be a highly skilled worker being sponsored by an employer. There are currently millions of people who live in the U.S. who would qualify for a family-based or even an employment-based application. Yet because they are out of status or came without documentation in the first place (even as a child) they have no means by which they can adjust their status to fix past immigration problems. These are people who have families, who have jobs, who have spent years building lives in the U.S. They are not criminals, nor do they deserve to be forced to depart the U.S. at this point in time. And many of the "good guys" are mothers and fathers of school-age children. In fact it is estimated, as of 2012, that 6.9 percent of children in the U.S. in K-12 and have one undocumented parent. In Texas, California and Arizona, it is 11 to 13 percent of school-age children. This is why deportation protection is important. It is estimated that there are between 3.7 and 5 million people who would benefit from the DAPA and expanded DACA programs. These programs would provide a temporary avenue for adults -- often parents of school-age children -- who are here working and living in fear of deportation. Both programs require background checks, clear criminal records and an extended presence in the U.S. to qualify. Those who will qualify will likely have been employed long term in the U.S., they will have U.S. citizenship or lawful permanent resident children, and they will have no criminal records. And yet lots of people are fighting against these families. In response to the federal judge's decision in Brownsville, Texas, politicians like U.S. Rep Steve King (R-Iowa) and recently announced presidential candidate Sen. Ted Cruz (R-Texas) are ecstatic, gloating that this decision blocked a "lawless executive amnesty." These lawmakers and judges should be accountable for the bad news that your good friend or employee or neighbor cannot stay. Sam Adair is an immigration attorney practicing in Austin, Texas representing individuals and companies around the world. Sam serves on the board of directors for the Florence Immigrant and Refugee Rights Project, and is a founding attorney of the immigration law firm of Graham Adair. This research by Bruce Fuller and colleagues perpetuates dangerous myths—particularly about Mexican mothers—and readers should consider how either the opposite of what is concluded here is observed elsewhere or a more critical view is offered that suggests how schools and society deprive our youth of resources that are important to success in life. Education scholar, Dr. Laura Alamillo at Cal State University Fresno, is currently conducting research on Latina mothers that shows that they reading to their children at home in two languages. 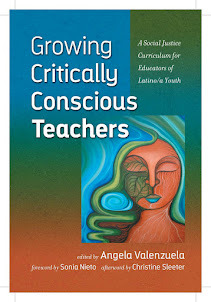 I work with immigrant, Mexican parents, too, and know that they also work closely and intensely across two languages yet our schools—pre-K included—systematically fail to provide their teachers with the language supports that they need in order to carry out the kind of effective pedagogy that our bilingual children need. We've had many a community discussion on these things here in Austin, Texas, and our very own bilingual teachers AT ALL LEVELS—pre-K included—voice these concerns with a extreme dearth of curricula, books, and materials that are not only linguistically appropriate for bilingual learners at ALL levels of development, but that once you parse it out, don't even speak to the Mexican or Mexican American experience in the U.S. In my own work, I call this "subtractive schooling." I don't have time to go into the manifold, historic, ideological, and layered reasons why this is so, but want to take the opportunity to share that we are doing something about this. We started a Saturday Academy called "Academia Cuauhtli" (Eagle Academy)—a language and culture revitalization project—at the Emma S. Barrientos Mexican American Cultural Center. Students get taught in Spanish a Mexican American Studies / Tejano Studies curriculum in grade 4, targeting three nearby east Austin elementary schools—Metz, Sanchez, and Zavala. This involves a partnership involving Nuestro Grupo (our community based organization organized by the Texas Center for Education Policy and the Tejano Monument Curriculum Initiative, both at the University of Texas at Austin and the National Latino/a Education Research and Policy Project [NLERAP], its fiscal agent and national nonprofit organization), the Austin Independent School District, the City of Austin Parks and Recreation Department and within it, the Emma S. Barrientos Mexican American Cultural Center where the Saturday academy takes place. We have developed curriculum in migration/immigration, civil rights, and local history. We are currently extending this curriculum to indigenous heritage, women, and the cultural arts. Moreover, all that we have developed is available to students district wide—currently in grades 3, 4, 5, 6, 7, and 11. AISD Chief Academic Officer, Dr. Pauline Dow, and so many others have demonstrated incredible leadership in this regard. I am so happy an honored to be a part of this initiative. Though I am sure the authors of this research study didn't intend this to be so, they nevertheless offer a deficit perspective of what they say Mexican mothers and children presumably do not have, rather than a study conducted from a research lens of what they do have. After all, a way of seeing is also always a way of not seeing. Just as importantly, these authors also didn't situate their work in a sociopolitical or sociocultural perspective that like us here in Austin recognizes that at the root of our problems as a community as a whole are not an accumulated sum total of deficiencies that we collectively inherit or "possess," but rather a very deep, history of educational neglect, underinvestment, and cultural chauvinism in an otherwise highly alienating, test-driven curriculum where the knowledge of the dominant group is what counts in our state curriculum. Journalists that are totally missing the statewide and national movement that is currently taking place with respect to the advancement of Mexican American Studies (although here is one such story). Despite our numbers, they, too see us as a marginal community on the whole. Book festivals that exclude our books and that overlook knowledge production by Latinas or Latinos for book awards, our state boards of education that are resistant to secure inclusion of our histories, stories, and ways of knowing as part of what counts—or should count—as knowledge in a world that is increasingly not only diverse, but actually quite brown and is the demographic of destiny. The legendary battles for inclusion of all subaltern histories involving the Texas State Board of Education is what also might come readily to mind in this regard. And though folks around the nation scoff at these goings on here in Texas, they have enormous consequences not only for Texas, but nationally, as well. Why? Because Texas itself controls 10% of the school text book market and when it comes to purchasing text books for schools, other states take their lead from Texas. When I think of this very significant, growing, and historic fight that we as a community have taken on—not just in Austin, but in Texas and throughout the nation—it troubles me that a single study devoid of this context or historical understanding could be used by policy makers to construct our Latina/Mexican mothers as "the problem" in need of fixing. Education is never not a political issue for our communities. If you are a young or older Latin@, Mexican@, or Tejan@, you must understand that you need to get civically engaged in order for us to turn this circumstance around for our communities. You must vote, get out the vote, get naturalized and earn citizenship so that you can vote and get out the vote. You should connect to our community's civil rights groups and organizations like LULAC and consider running for office. Form your own LULAC council and get out and testify on these things in your school boards, state board, and legislatures. Form partnerships like what we are doing here in Austin so that you can develop curriculum that speaks authentically to your children's and community's experiences so that you can (re)discover the importance of your own histories. In short, organize! Sí se puede! Yes we can! Mexican-American toddlers born in the U.S. do not develop nearly as fast as white toddlers when it comes to language and pre-literacy skills. That's the main finding of a new study by the Institute of Human Development at the University of California, Berkeley. The study followed 4,550 Mexican-American children from birth to 30 months of age. At 9 months, these infants recognized words and gestures and had no trouble manipulating objects such as rattles and simple toys. But by age 2, their vocabulary, the number of words they knew and their overall pre-literacy skills lagged way behind. Four out of five Mexican-American toddlers displayed a slower rate of growth than that of their white peers. Researchers say one reason is that Latino parents do not invite their children to speak at an early age. Bruce Fuller, co-author of the study, says that does not mean Mexican-American parents are less nurturing or caring. "But what the new findings show," says Fuller, "is that a lot of that warm parenting is not necessarily infused with rich language, with questioning kids, with giving kids cognitive challenges." So by age 2 1/2, the gap between Mexican-Americans and whites is significant — as much as five months. Children whose mothers are foreign-born fall the farthest behind. Only 28 percent of these mothers said they read to their child daily, compared with 59 percent of white mothers. According to the study, white mothers are more likely to work on their kids' pre-literacy skills earlier, at around age 2. Mexican-American moms tend to wait until their child reaches kindergarten age, 4 to 5 years old. This raises sensitive questions about parenting especially among poor, foreign-born parents. "It's certainly not a function simply of material poverty, but I think it is a weakness of parenting in the U.S. context," Fuller says. "In school kids are rewarded to process symbols and mathematical tasks pretty quickly. So it's in the U.S. context and school context that [Latino] parenting practices are not up to snuff." "It's not necessarily that they don't know how to parent," says Selma Caal, a researcher for Child Trends, a nonprofit with a focus on Latino children and families. She says there are two key factors in the development of toddlers: family income and the education of the mother. "If the mother is working as well as the father, they will be more likely to provide the sorts of things children may need," says Caal. Fuller says that's actually one of the study's more intriguing findings. Mexican-American toddlers showed more robust growth if their moms worked outside the home. "Mothers working outside the home are exposed to more middle-class forms of parenting," Fuller says. "They're talking with fellow workers about how they question their kids, how they introduce kids to educational TV and digital media." He says it's the kind of exposure that helps assimilation and leads to innovative parenting. The full study appears in the Hispanic Journal of Behavioral Sciences.